Your baby’s safety should always be your top priority when it comes to riding in a car. That said, having the right car seat can really make a major life-saving difference in the event that you and your baby are involved in a vehicular accident. 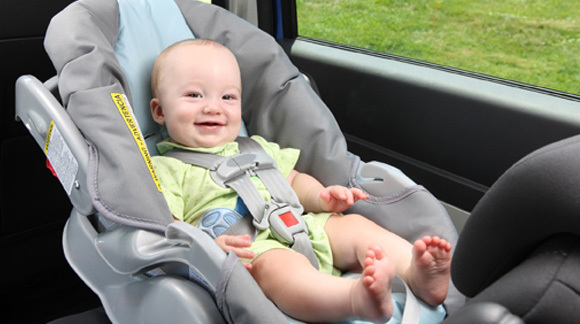 Rear-facing infant car seats are designed for newborns and small babies. It has a harness and, in a crash, cradles and moves with your child to reduce the stress to the child’s fragile neck and spinal cord. Now as your baby grows, your child should then transition to a convertible car seat. Keep your child rear-facing as long as possible. It’s the best way to keep him or her safe. Your child should remain in a rear-facing car seat until he or she reaches the top height or weight limit allowed by your car seat’s manufacturer. Once your child outgrows the rear-facing car seat, your child is ready to travel in a forward-facing car seat with a harness. This begs the question as to when and why should you transition your baby from a rear-facing car seat to a convertible car seat? In short, a rear-facing convertible seat provides additional much-needed head protection for your little one in the event that an accident occurs. When using convertible seats, keep this next reason in mind … see next page.